Kitchen Window: Try A Do-It-Yourself Mother's Day Rather than waiting for someone to give you a treat, why not make one of your favorites for yourself? Something you can snack on all week when no one's around. Or, better yet, something you don't have to share. Food writer T. Susan Chang recommends slow-roasted pecans, salty-sweet matzo candy and more. Get recipes for Slow-Roasted Butter Pecans, Matzo Candy With Caramel, Chocolate And Halvah, Rhubarb-Ginger Fool, Posh Porcini Popcorn and Curried Egg Salad Sandwich. My mother didn't plant a great many spring bulbs. But over by the pachysandra patch, there was a single lovely pink tulip, and I kept my eye on it for two weeks before Mother's Day. When that Sunday morning arrived, I rushed out, snipped it and ran inside to where she lay sleeping to present it to her. "Did you pick that outside?" she inquired, her expression shifting from sleepy surprise to something more complicated. I nodded proudly. "Oh ... thank you, sweetie." Flowers are nice, perfume is nice, but what really makes me feel special is having a stash of slow-roasted butter pecans that nobody else knows about." Today, some 40 years later, I can read that image of my mother's face like a book — chagrin for the flower-picking (she would rather have enjoyed it in the spot where she'd planted it), affection for her impetuous daughter and perhaps a bit of resignation. For it is traditionally the lot of mothers to receive, on their special day, clumsy, heartfelt versions of the domestic miracles they themselves pull off so adeptly the rest of the year. Much has changed for mothers in the decades since. So many of us work that a day free of housekeeping chores really seems more like a right than a privilege. And being taken out for brunch is maybe a mixed blessing when what you really want is to sleep in. So I'd like to make a subversive sort of argument — for us moms to take charge, at least in part, of our own Mother's Day. Rather than passively waiting around for somebody to think of and give you a treat, why not make one of your favorites for yourself? Something you can snack on all week when no one's around. Or, better yet, something you don't have to share. Flowers are nice, perfume is nice, but what really makes me feel special is having a stash of slow-roasted butter pecans that nobody else knows about. Some of us like it savory; some of us like sweet. Maybe we pack snacks every day for our kids, or we get dinner on the table every night, or we bring a Tupperware to microwave in the office. The point is that we rarely take the time to make a treat for ourselves. Little salty snacks like nuts and popcorn are satisfying, and really not all that bad for you. Custardy individual-sized sweets are irresistible, as are brittle sweets that go crunch. You could make spicy seaweed or chocolate bread or candied orange peel or dumplings or macaroons. 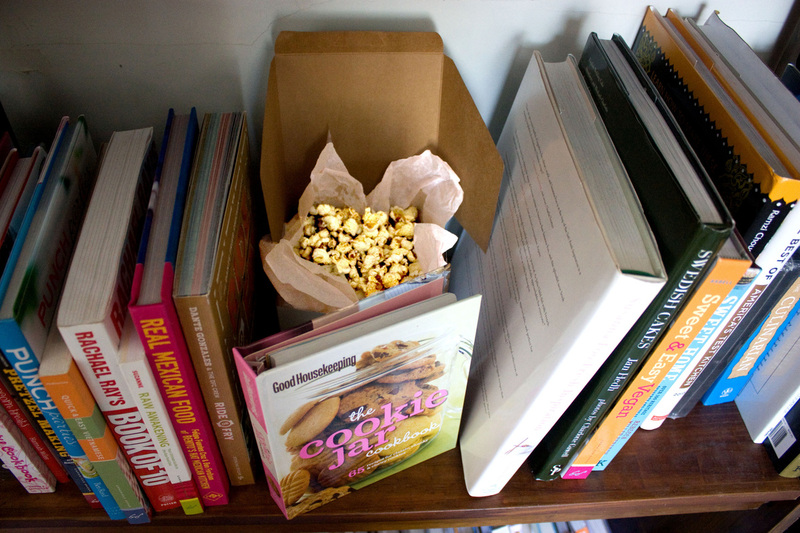 Really, there are no rules to what makes a good secret stash food for Mother's Day, as long as you like it and you have the time and energy to make it. Where can you hide your treats? Well, the obvious place is at work, if you work outside the home. If you're at home, seek out the places nobody else seems to know about — like the file cabinet that allows you to produce a months-old receipt from Target when you have to return a nonfunctioning toaster. Or the place where your daughter keeps her chorus folder, or where the button batteries are kept. Store them high (unless your spouse is 6 foot 3) or store them low. The idea is to keep them away from eye level. Does this seem small-spirited? Somehow calculating? Then I suppose I should admit that deep down, I'm just as sentimental as anybody. When it comes right down to it, the sight of my children growing tall and strong and the sheltering embrace of my husband's arms are all I really ask for as a mother and a wife. And in then end, I will probably end up sharing my treats anyhow. But when everyone's away or asleep and a mom's left, once again, with her cares and dreams and never-ending lists, it doesn't hurt to have a little something set aside. It's a reminder that, even then, when Mom's the last thing on everybody's mind, there's still one other person who cares enough to make you smile: you. These are a Southern specialty I first learned to make from Damon Lee Fowler's The Savannah Cookbook (Gibbs Smith, 2008). The long, slow roasting brings out delicate, coffeelike undertones in the pecans. In the unlikely event that there are any left after you're done snacking, you can mix them into or scatter them atop ice cream. Preheat the oven to 200 degrees. Line a 9-by-13 pan with foil and place the pecans in it, shaking to level them. Cut the butter into 8 small chunks and scatter it over the pecans. Roast the pecans in the center of the oven for 1 hour, tossing them well every 15 minutes (it's particularly important after the first 15 minutes, when the butter has first melted). The pecans continue to cook after they come out of the oven, so don't let them get too dark. To test them for doneness, cool a pecan slightly and break it in half. The center should be a delicate but distinct beige. 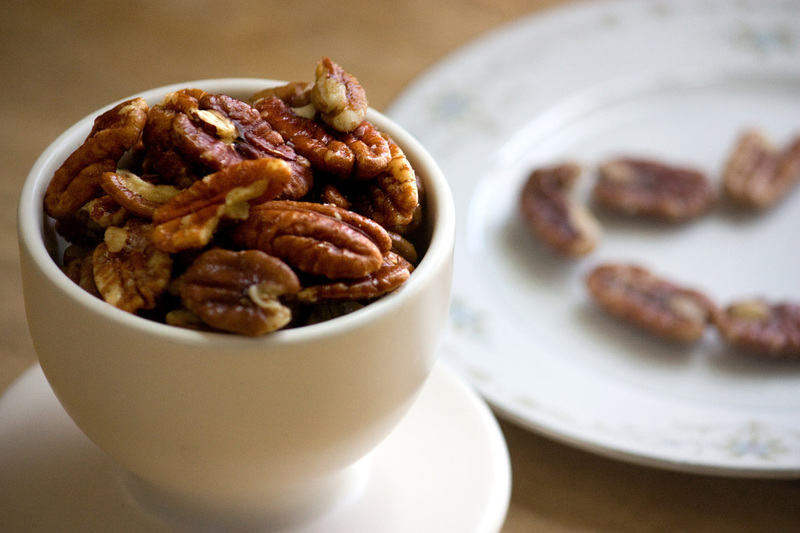 While the pecans are hot, salt them generously and toss until they are well-coated. Devour them immediately, wait until they're cool, or store them (cooled) in an airtight container. This is adapted from Susan Feniger's Street Food (Clarkson Potter, 2012). I like to use lightly salted matzo, which gives you a little bit of that salted-caramel effect. You can get halvah at most Middle Eastern groceries. You can break up the finished candy into very small, decorous pieces if you are concerned about gorging yourself. I have to warn you that it is terribly addictive. Set the oven to 300 degrees. Spray 3 baking sheets with olive oil spray, or spread a small quantity of oil over the sheets with a basting brush. (You can line the sheets with foil if you don't wish to scrub them so much later.) Lay the matzo out in a single layer on the prepared baking sheets. Put the butter, brown sugar, corn syrup and salt in a small saucepan set over low heat. Cook, stirring occasionally, for 3 to 4 minutes, until the butter melts. Raise the heat to medium and cook until the mixture is bubbling rapidly, 3 minutes. Add the baking soda, turn off the heat and stir. The caramel mixture will be thick and bubbly. Spread the caramel over the top of the matzo crackers, covering their entire surface. Put the baking sheets in the oven and bake for 10 to 15 minutes. 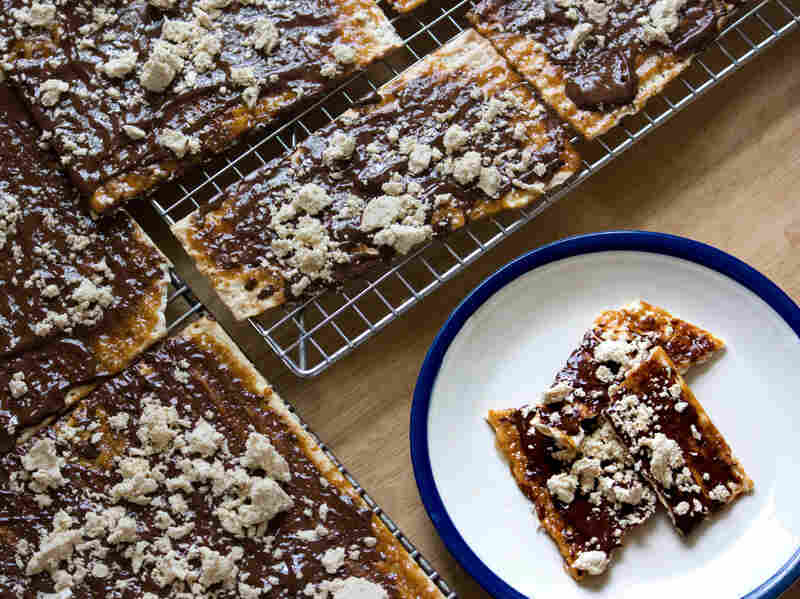 Remove the baking sheets from the oven and immediately sprinkle the chopped chocolate over the caramel-covered matzo. Using a rubber spatula or the back of a spoon, spread the chocolate pieces so that they melt and coat the caramel matzo evenly. Work quickly, to take advantage of the hot caramel, which cools rather fast. Then, while the chocolate is still warm, sprinkle with the halvah. Let the matzo cool in the refrigerator for 1 hour or longer. Break the cooled matzo into smaller pieces, and serve. Store any extras in the refrigerator in an airtight container or plastic bags. Creamy, cool, gently tart, pink and irresistible. The Beekeeper's Bible (Stewart, Tabori & Chang, 2011), from which this recipe is liberally adapted, calls for "stem ginger," "stem ginger syrup" and "acacia honey," but there is no need to make things difficult. As long as you can find some candied or crystallized ginger, you're in business. 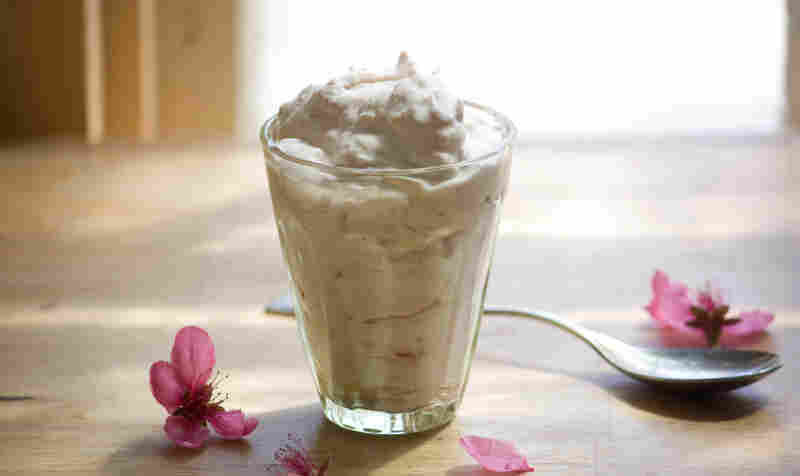 If you care for a more refined texture, you could puree the rhubarb-ginger mixture before folding in the cream. Combine the rhubarb, water, ginger, sugar and honey in a small saucepan and simmer over low heat for 10 to 15 minutes, until the rhubarb is soft. Allow the mixture to cool. Whisk the cream until it achieves soft peaks, then fold in the rhubarb mixture. Spoon the mixture into glasses and chill for 2 hours. Just before serving, drizzle with a little more honey. If you happen to have any ginger snaps on hand, serve them with the fool. I wouldn't try to make this with air-popped popcorn. Although the porcini salt is fine and powdery, it still needs the oil to make it stick. And as for the truffle oil, it is indispensable. Don't feel bad if you polish this all off in one go — popcorn doesn't keep anyway. Grind the porcini in a coffee or spice grinder until it's finely powdered — be careful lifting the lid, as it will release clouds of porcini dust. Add about a teaspoon of kosher salt (less, if you're using table salt) and pulse just to combine. Scatter over hot, freshly popped popcorn and drizzle with a few decadent drops of truffle oil. Take a moment to toss really well before scarfing down by the fistful. As much fun as it is to have hoards of secret snacks on the premises, a mom still has to eat a good lunch sometime, and I don't mean a pint of store-bought yogurt or a package of overpriced kale chips. Here's a sandwich that comes together in a moment, but still feels like a special treat. Don't skip buttering the bread — it makes all the difference. In a small, heavy saucepan, warm the oil. Over a low flame, sweat the shallot with a pinch of salt until tender and colored a pale gold (take care not to burn on the edges), about 5 minutes. Add the curry and stir in until well blended and fragrant. Add the jam and 2 to 3 tablespoons of water, stirring until a loose slurry is formed. Simmer gently until you have a thick, syrupy sauce that doesn't run but holds together in the pan, like a chutney or salsa. Pour the mixture into a shallow bowl to cool for a moment. Pop a couple of slices of multigrain bread in the toaster. If you can keep one side of each slice untoasted by placing the bread face down on a piece of foil or tray, so much the better. 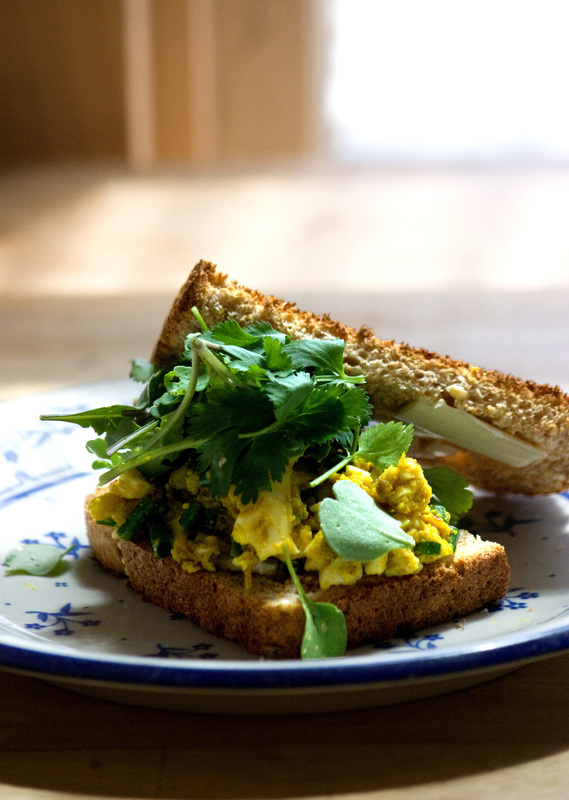 While the bread is toasting, mash the hard-boiled eggs into the curry sauce with a fork, until the egg salad is as crumbly as you like it. Stir in the chopped chives. When the toast is ready, take it out and butter the untoasted sides (if both sides are toasted, don't worry — butter them anyway). Place one slice butter side up on your cutting board and pile on as much egg salad as you like, compressing it a bit to help it stay in. Add on the cilantro and arugula or cress. Top with the remaining slice of bread, butter side facing in. Silence your cellphone. Eat in a warm patch of sunlight while reading a novel.